The following is a guest post by Mike Dane. Mike is a digital marketing professional currently working as a PR manager at TruConversion.com He truly loves online marketing and anything digital. He is very focused on his clients. Once he starts work, he is fully committed to his duties and responsibilities at that company. With the help of exit surveys, brands are hoping to overcome conversion bottlenecks. Exit surveys have long been untapped, and even though brands are finally using it, they don’t seem to be very good at it. In the marketing realm, exit survey and customer survey are used interchangeably even though they are different. Exit surveys are like interview questions, done traditionally on employees who are leaving a company, with the hope of understanding the company’s inner workflow and corporate structure from the employee’s point of view. In the marketing context, however, the exit survey is done on prospects or customers who are leaving the site. The purpose of conducting the survey is to get customer feedback on the browsing experience and the product quality, so they can be improved. Mistakes need to be avoided to get the best return. When demystifying the results of an exit survey, marketers fixate on the response rate. It’s an indicator of the landing page’s performance. An increase in response rate indicates customers are showing willingness to interact with the site implying they are satisfied with the onsite experience. Tinkering with response rate can point out why the exit survey is not proving up to the par. Here’s how it can happen. For non-customers: Ask those who are taking the exit survey to leave a response about the survey. Ask them whether they want to see any change in it. Their feedback will give you an idea. For customers: Use email marketing. Send mail to existing customers, ask them what they think of the survey questions and whether they want to see changes in them. 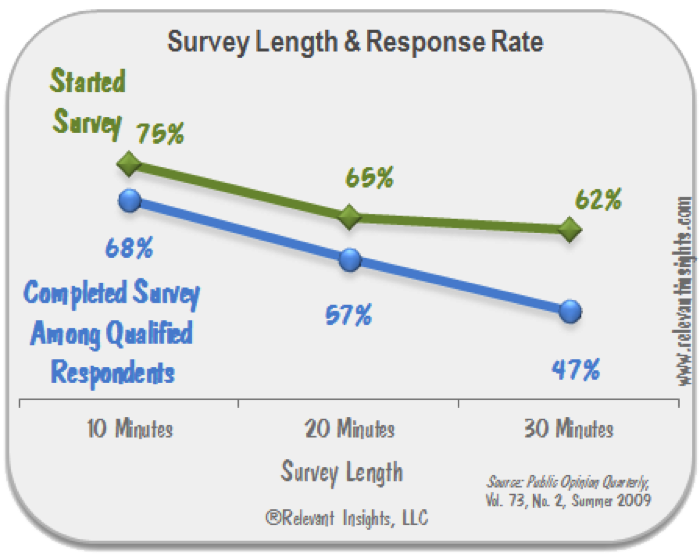 Email response rate is higher than exit survey response rate, you may get a response from past customers and get an idea of what’s wrong with the exit survey. Let me help you with selecting appropriate pages for appropriate questions. Found What You’re Searching for? Visitors clicking on the “Yes” button should be shown a “Thank You” message. They are not interested to buy from you. Those who click on the “No” button are actually interested to keep the communication going. They are the ones who might end up being your customer. Underneath the message, there should be a text box with “Submit” button underneath. Visitors can type in their message, letting you know what they were looking and submit it along with their mail ids. Why are You Leaving? What Went Wrong? Once again, those who click on Option 1 are casual visitors with no intention of buying. But those who click on Option 2 or 3 may buy from you. Give them a chance to submit their messages along with their mail addresses. The message above disgorges humility and a pleading tone as if you beseech the visitors not to leave keeping you in the dark. The visitors are humans. They’ll most likely react. Brands often don’t address the customers who buy from them. And even when they question them, the questions are pretty trivial, far from being something that could lead to an interaction and resulting engagement. But those customers also need to answer exit survey questions. The reason being your understanding of how the survey questions are linked with the increase in conversion. The survey should focus on all the above areas so that a holistic understanding of the product is obtained from customer feedback. To make the questions more functional so they yield an impressive conversion rate, consider the nationality of visitors and the industry you belong. The Google Analytics is an excellent resource. You can check how many users are coming to your site and from which locations, and how many of them are converting. Let’s say you are getting 40% of the organic traffic from the US and 8% from Portugal. The conversion rate is 5% for both countries. When formulating the survey questions, ask the US visitors why they are not purchasing from you, what factor/s keeping them away and what improvements they want to see. Since the German visitors are active already, ask them whether they are interested about new products, and insist them (without being intrusive) to share their mail addresses. Traffic pattern varies depending on the industry. A food recipe blog has more chances to see visitors taking the survey than an ecommerce site. Consequently, ecommerce conversion rate and a food blog conversion rate would be different. What works best is understanding customers from your niche, what they might be looking for and how they might react in case your existing product line doesn’t impress them. Sometimes, visitors like the product but find the price too high. Ask them questions related to the price to know if that’s the case. Some industry experts suggest offering a quality product at a cheaper price (similar to giveaways) only to gain customer quality. It’s not a bad idea if it doesn’t hurt your finances. Plus, you may get their contact details and build a customer database, the importance of which is immense in marketing. It’s debated whether open-ended questions can improve the conversion rate. In my opinion they can because customers (those who take the survey) tend to go for details when answering them. From a brand’s perspective, details are always good as they are encrusted with marketing insights. Unlike multiple-choice type exit survey questions, open ended questions doesn’t give you concise and specific information about products. But such questions bring you actionable data, which you can use in customized ways to improve the conversion rate. This is an effective method to amplify the conversion rate. Microsurvey questions don’t take up too much space and can be easily placed at the bottom of a site. These are more effective for the first time visitors because they are new to your site and will give honest answers. The problem with microsurvey is you can’t ask visitors for their email ids. Microsurvey questions, like open-ended questions are useful for fetching brand insights than drastically improving the conversion. Measuring changes in the conversion rate and linking those changes to the exit surveys becomes easy once you opt for A/B testing. Conversion rate index can be scaled. Feature two sets of survey questions and scale the impact each set is making. This way, you’ll quickly find out which questions are not worth asking and which questions are. Nothing is guaranteed in this world. 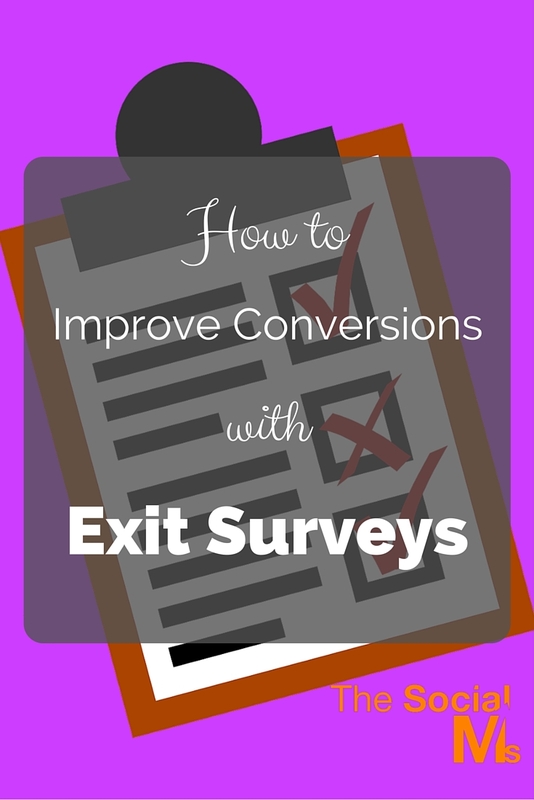 You can take help of the discussion done here, but that doesn’t guarantee your conversion rate will increase because there are ample other factors besides exit survey. Nevertheless, formulating exit survey questions applying the tips given above can greatly increase the odds of a surge in conversion rate.